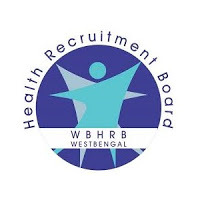 WBHRB Jobs Recruitment Notification 2018.West Bengal Health Recruitment Board inviting applications for the positions of Staff Nurse Grade II designation. Under The control of Directorate of Health service, Health & Family welfare Department.Interested and Eligible candidates can apply for the positions. Total number of vacancies to be filled in WBHRB is 7615 for Staff Nurse. GNM/ Basic B.Sc/ Post Basic B.Sc holders can apply for Staff Nurse Posts. For General/UR candidates the age can be in between 18 to 39 years. Age relaxation for SC/ST is 05 years, OBC is 03 years. Through interview process candidates will be selected. Mode of applying for WBHRB recruitment is through online mode. From 17th September 2018 to 26th September 2018 candidates can apply. http://www.wbhrb.in/OnlineApplication.php is the link for applying online.